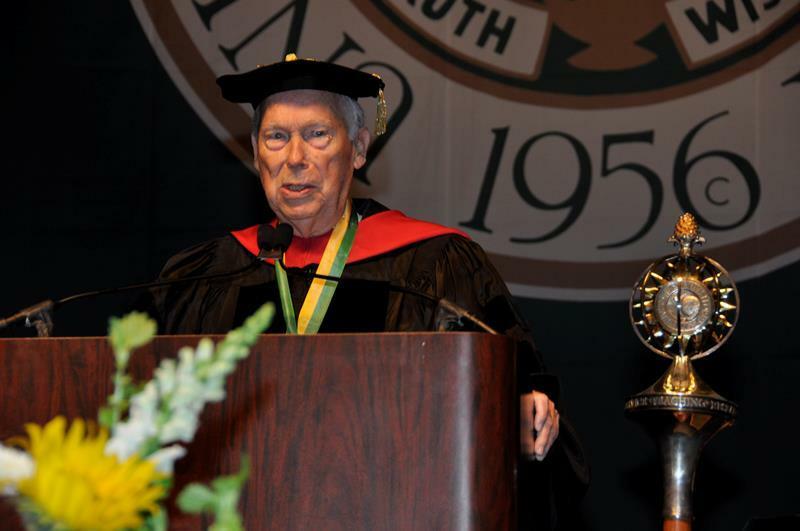 John F. Germany speaks at USF commencement in Dec. 2012 where he was awarded the USF President's Fellow Medallion in 2012. Working as an aide to then-Governor LeRoy Collins, Germany helped Collins and Congressman Sam Gibbons put together the legislation that created USF in 1956. He was quoted as saying they took one-thousand acres of mostly sand spurs and scrub oaks and turned it into gold. 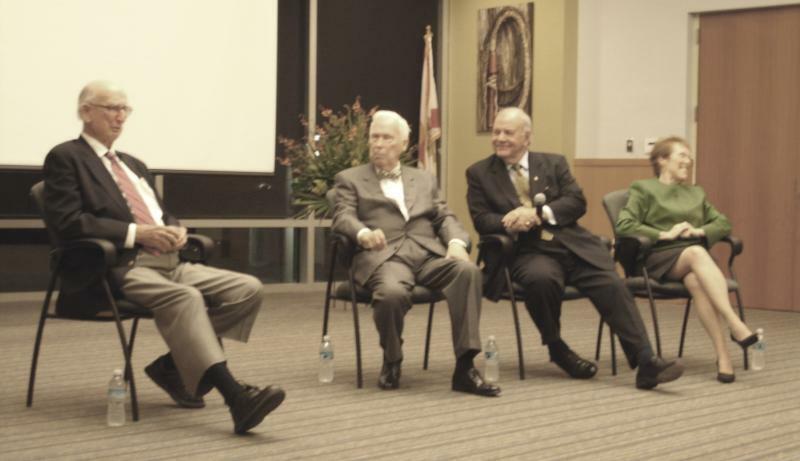 As the last surviving member of the trio, Germany was awarded the USF President's Fellow Medallion in 2012. "He was absolutely one of the original people that we're so sorry to lose, what an integral, really, really fabulous person," USF System President Judy Genshaft said. "And he also started our USF Foundation, so he meant a lot to the University." USF is planning a memorial service for Germany. Pinellas County Congressman David Jolly also praised Germany as an "icon for the Tampa Bay area." "It also reflects a bit of a generational change as some of the great leaders throughout the Tampa community pass," Jolly added. "We're seeing some of the great leaders of Tampa from an era gone by that have contributed to making this area what it is today. Obviously, it's a sad day but it's an opportunity to celebrate everything he's done for the Bay area." You can hear a conversation Germany had with Gibbons from 2012 on Florida Matters HERE. He's considered a legend in Tampa political circles. 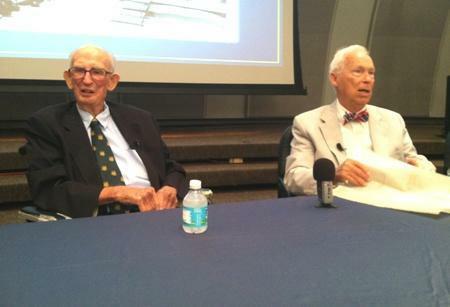 Saturday, former Congressman Sam Gibbons regaled an audience with tales of how things used to be in Washington - and how different politics in the nation's capital is today.